Item # 315811 Stash Points: 2,495 (?) This is the number of points you get in The Zumiez Stash for purchasing this item. Stash points are redeemable for exclusive rewards only available to Zumiez Stash members. To redeem your points check out the rewards catalog on thestash.zumiez.com. For a fresh new look, make sure to add the Break Free Black T-Shirt from Element to your wardrobe. 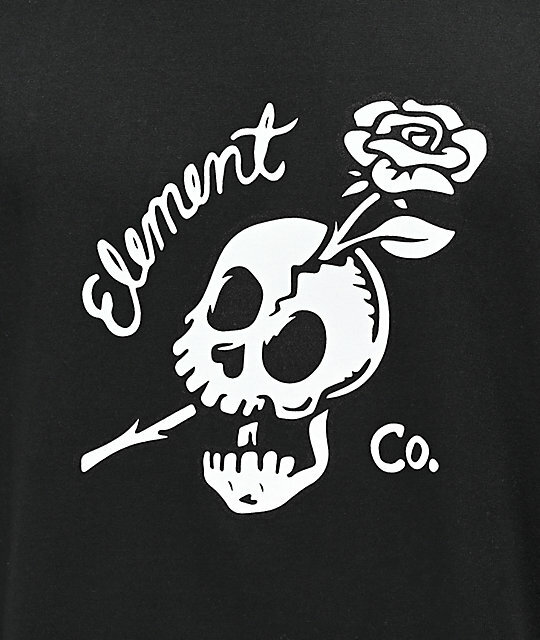 This simple design comes in black, and displays a large screen-printed graphic of a skull and rose in white, along with Element logo script, making this shirt a must-have for skate days and casual days alike. 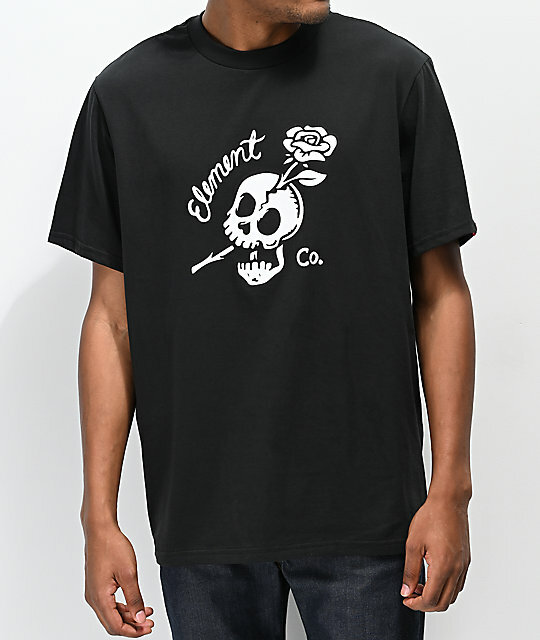 Break Free Black T-Shirt from Element. 30.5" (78cm) from top shoulder seam to bottom hem.